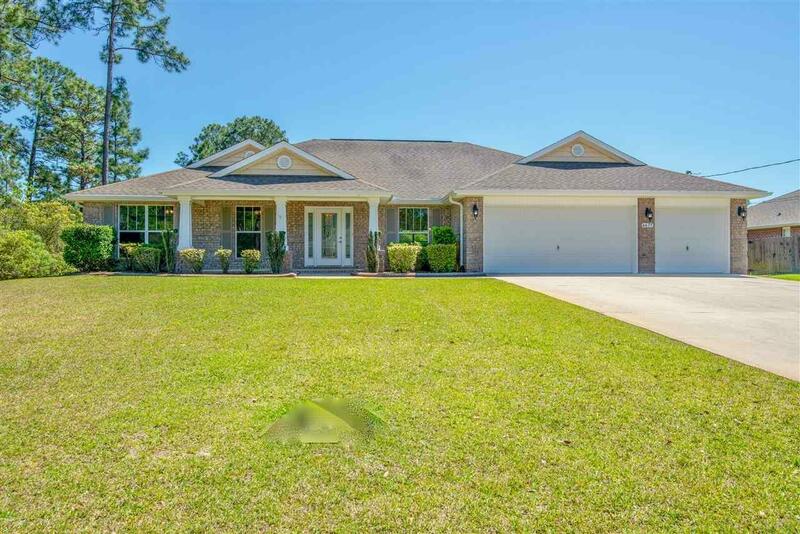 Beautiful ALL Brick home situated on large 1/2 acre lot in Holley By The Sea! This open floor plan offers 2 dining areas, home office, high ceilings, wood plank tile throughout the majority of the home & new carpet in guest bedrooms. The spacious kitchen offers an enormous island open to the living area, under cabinet lighting & stainless appliances. The master suite has a great feature allowing you to access the laundry room directly from your master bath. In the master retreat you&apos;ll find a large tiled walk in shower, soaking tub, double vanities, huge walk in closet & a door leading to the back patio. On the other side of home you will find 2 guest rooms w/Jack & Jill bath, a guest suite & 3rd bath w/back patio access as well. Fully fenced yard, 3 car garage, hurricane shutters & MORE! !